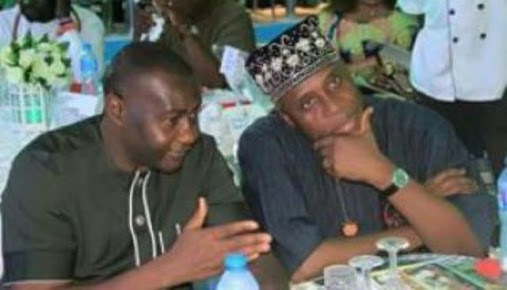 Magnus Abe, senator representing Rivers south-east, says Rotimi Amaechi, minister of transportation, has become bigger than the All Progressives Congress (APC). A governorship aspirant of the APC, he accused the leadership of the ruling party of giving special treatment to some members. Abe, who has been having a running battle with Amaechi, said this at a rally in Bori local government area of Rivers state, on Thursday. He vowed not to take part in the party’s governorship primary on Saturday if the APC does not conduct direct primary. The APC national leadership adopted indirect primary in the state. “People have said they will retire Senator Abe, send me home, where is home? Home is in the heart of my people and nobody can send me away from their heart,” he said. “Every campaign of calumny, deceit must cease in Rivers state, this state must move forward. Today, I want to speak to the national leadership of our party, we continue to worship individuals in a party where we have said we are standing for change, we must have the courage to do that (change). “I am my own man and nobody can make me do what is wrong. This country cannot go forward if we cannot find courage to do justice when it is time to do what is right. If we continue to be a nation where individuals are bigger than our rules, where individuals are bigger than our institution, the country can not go anywhere. Abe also accused Amaechi of betraying the people of Ogoni, wondering why an Ogoni man has not become governor since the state was created. “Today is the day of truth and today I want to tell Nigerians the truth. Every other senatorial district has produced a governor but our district has not,” he said. “When it was the time of my brother, Chief Chibike Amaechi to be governor, it was the Ogoni chiefs led by the same Kinginiwa that they are abusing today, that went as a delegation to Governor Peter Odili to make a case for the Ikwere people,” he said.